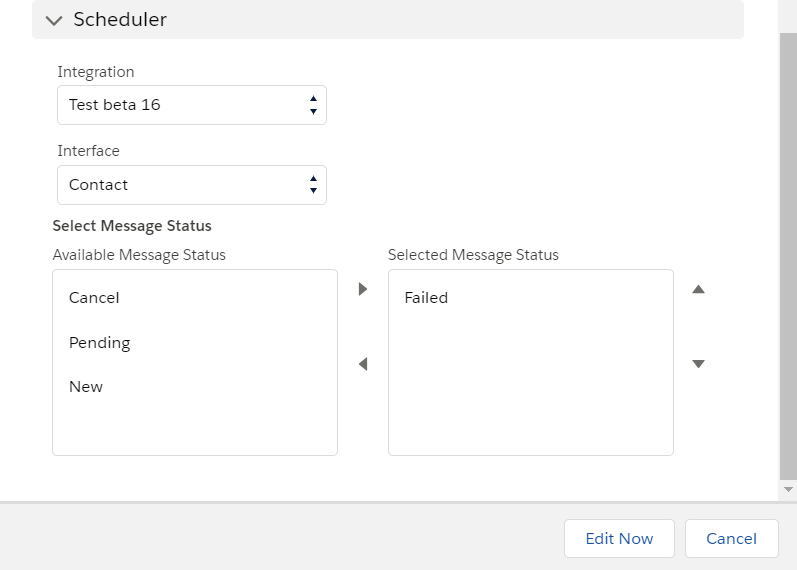 This tutorial explains what SKYVVA Schedulers are and why do we need them. It describes each overview of scheduler. 1 What are SKYVVA Scheduler? SKYVVA Schedulers is a program that starts and handle job automatically. Each scheduler has different purpose. These functions includes Agent Scheduler, Basket Processing Scheduler, Bulk Processing Scheduler, CDD&CDT Scheduler, doMaintenance Scheduler, Message Reprocessing Scheduler, Basket Reprocessing Scheduler and Checker Scheduler. Schedule Mode: There are two type of mode which you can choose. These modes are Processing and Reprocessing. Integration Name: The name of your integration. Interface Name: The name of your interface in an integration. ON&OFF: When you check this radio button it mean you activate the scheduler to run. 1. Run at: If you check this button it mean you want the scheduler to run once a day but at the specific time. 2. Run every: The scheduler will run every hour or minute depend on you who set them up. If you want to run every x hour then you have to choose Hours. However you have to choose the starting time along with the ending time you want it to end. Weekly Frequency: The default is all day are selected. It mean the scheduler will run everyday. But if you want to skip one day or more you can deselect that days. Monthly Frequency: The function of this one is similar to the above. If you want the scheduler to skip then deselect the month you don’t want to run. 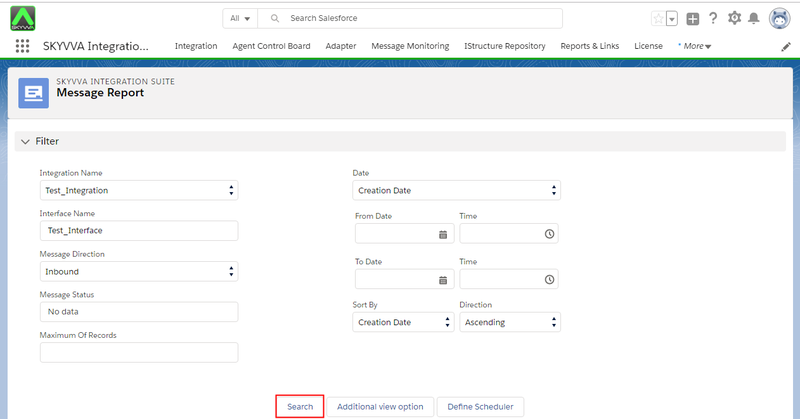 This section will be explained in detail for how to set Agent Scheduler. Basket Processing Scheduler is used to process baskets attachments. The schedules are for specific integration. You can set the time and start the schedule or refresh it. Batch Processing Scheduler is located in Batch Control Board, Integration page detail and Integration Admin Tab. – Log in to Salesforce and enter Integration Detail Page. Bulk Processing Scheduler is used to process bulk attachments which is with huge record at high speed. You can set time interval in bulk processing scheduler of Skyvva anytime you want. CDD Scheduler is used to run and collect change data and save all those data into Change Pointer table. CDT Scheduler is another scheduler which is running to collect the records from the Change Pointer table and sent to the external System such as SAP … etc. - Scheduler per Interface Group: You can only find CDT Scheduler in this section. Basket Reprocessing Scheduler is used to reprocess basket attachment which are fail. The schedules are for specific integration. You can set the time and start the schedule or refresh it. Basket Reprocessing Scheduler is located in Batch Control Board, Integration page detail and Integration Admin Tab.